Surely having a number one ranked website with Google is desirable? The answer is yes and no. It has been brilliant for me but right now, strangely enough, it’s not working for me. I tell you this to highlight that there are also simply going to be changes that you have to adapt to in order to survive. 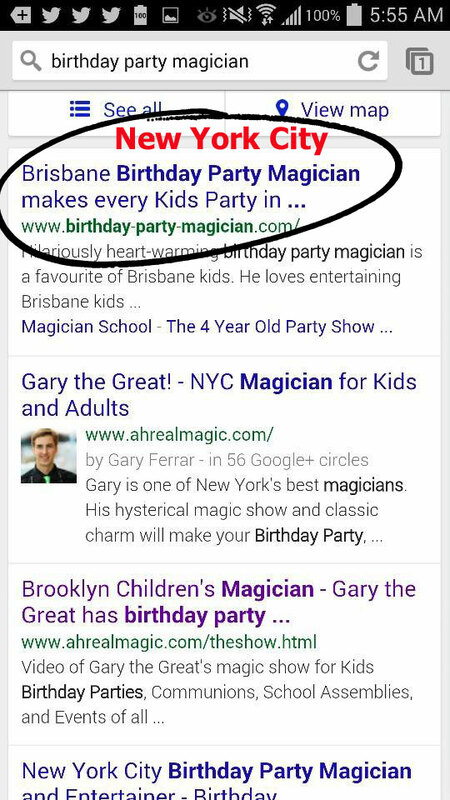 Just so you can understand why my website www.birthday-party-magician.com is actually a problem for me at present, I’ve had Magician Business FaceBook group members take screen shots from around the globe. So as you can see Google has pushed me high on the international searches but, recently, it has also lowered my rankings on local searches. I just don’t need international bookings but at the moment as kids performer, however I get more international enquiries per week than I do local booking enquiries. Just keep in mind that this worked for me for about 4 years. I had an automatic booking machine that didn’t cost me a cent in advertising. It did however cost me immeasurable hours, days, weeks, months, years of my time to do this. So was it worth it? Was there a better way to spend my time? I certainly now think so, that there is a better way to do this. It’s all about actually treating this as a business rather than what I call ‘hope’ marketing … I just hope it all works. Keep following the Magic Site Duel to find out how much smarter I am working now. 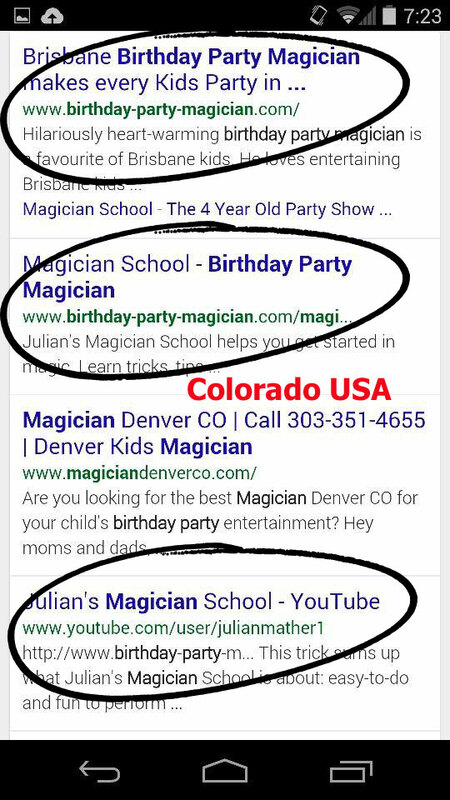 Other countries that have been confirmed through the Magician Business Facebook Group are Finland and Brazil. 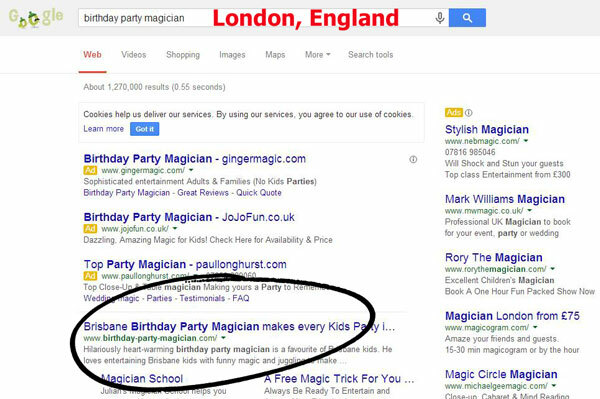 Have you seen the videos about Google and what you as an entertainer need to understand about it? Highly recommended viewing. Have you listened to episode #8 of the Magician Business podcast ? 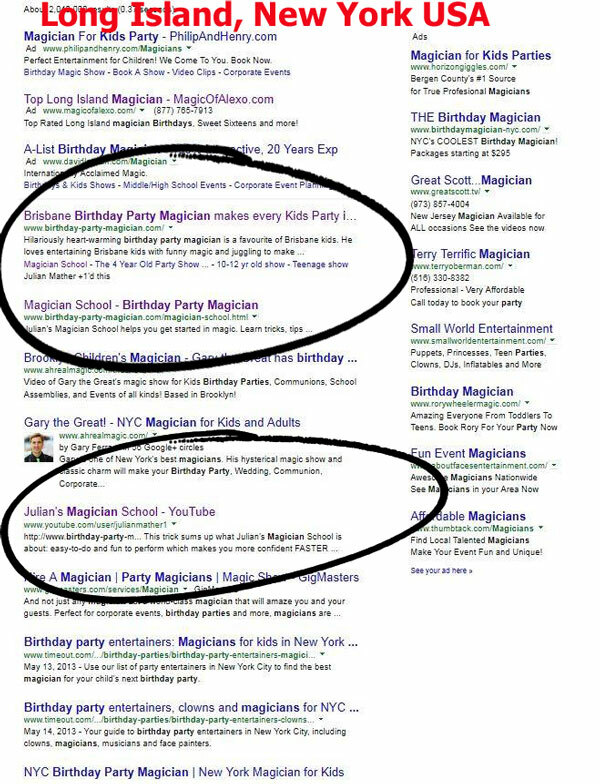 There is a whole lot of great insights to building websites for magicians and other entertainers here. Make sure you have a pen and paper to take notes. 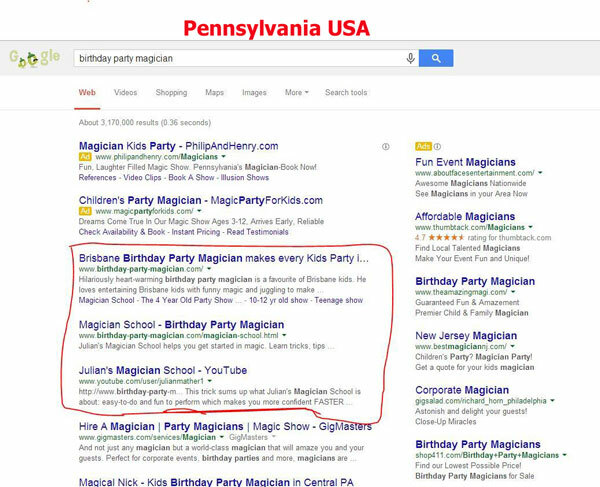 How does your website rank? Which page are you on? Which page would you like to be on?